In the spring of 1888, the slayings of Jack the Ripper shook London. For months, citizens lived in terror until the murderer suddenly disappeared into thin air. His reign of terror was almost forgotten until, in October of that same year, a severed torso was discovered at the construction site of what was to become the New Scotland Yard. This was soon matched to an arm and a leg found at other points around the city, beginning what would become known as the Whitehall Mystery. Now that the killer has re-emerged, the race is on for investigators to capture saucy Jack and bring him to justice before he fades into the London fog once more, possibly forever. 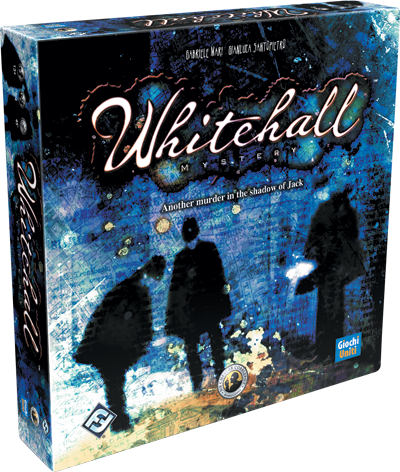 Fantasy Flight Games is pleased to announce that Whitehall Mystery is available now! Whitehall Mystery is a game of bluffing and deduction that transports two to four players to 1888, where the shadow of Jack the Ripper haunts the streets of Victorian London. In this new game of thrilling cat and mouse, Saucy Jack leads the police on a chase through the city’s smoggy streets, leaving macabre mementos for the investigators on his tail. 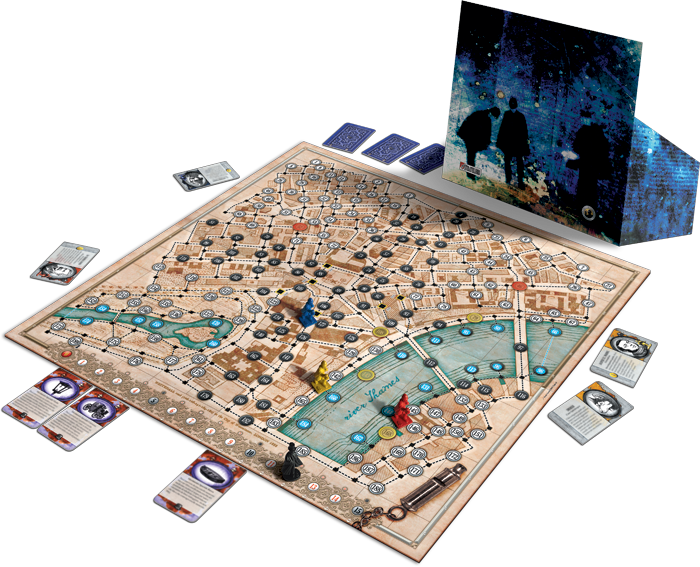 This new standalone game in the Letters from Whitechapel series gives players the opportunity to play as both Jack the Ripper and the investigators who took on the impossible task of finding him under the ever-increasing scrutiny of the press and the public. The leader of this historic investigation, Sergeant Arthur Ferris leads the hunt as the blue investigator. With the help of surgeon Thomas Bond, the red investigator, and the yellow investigator, journalist Jasper T. C. Waring and his loyal dog, Smoker, there's nowhere the nefarious criminal can hide. Over the course of four rounds, Jack must constantly evade investigators to reach four predetermined Discovery Locations where he plans to leave limbs for the police to find. One of these marks his starting point while the other three are places that Jack must reach in any order over the course of the game. If the killer can reach these locations without being captured, he earns his place in history as London’s most notorious serial killer and wins the game. However, if the investigators find him at any point in the game, his reign of terror ends and he must face the chilling justice that awaits him. To begin the Hunt, Jack escapes into the night by moving up to fifteen spaces and recording them on his track sheet. The killer’s growing confidence pushes him to take ever greater risks as he moves his twisted game from Whitechapel to the closely-knit district of Whitehall. As such, he must find new tricks to keep him one step ahead of the investigators. In addition to the coach and alley movement tiles that let him slip through the streets, the district’s unique obstacle, the river Thames, confronts Jack with a need for new boat movement tiles. These allow him to move from one blue space on the map to another within the same marked section of the river. Jack may be outnumbered, but a little cunning will keep him out of the law’s reach until his grotesque task is complete. Next, the task falls to the investigators who must consult and then disperse to search for clues across London. While Jack acts alone in defiance of the law, the investigators work as a team to bring the killer to justice. Each of the investigators comes equipped with a special ability to help contribute to their cause: Ferris can use a boat movement tile in place of looking for clues or executing an arrest, Bond can use an alley movement tile, and Waring can move a fellow investigator to a space adjacent to himself. The race is on to find where Jack has hidden, and the investigators cannot afford any mistakes that may cost them precious time. If Jack reaches his last Discovery Location, the Hunt ends immediately and the Ripper is victorious. 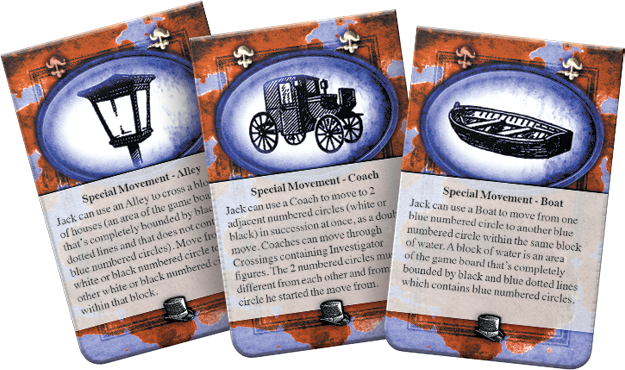 Whitehall Mystery offers customizable gameplay to accommodate players at every level of experience. Newspaper Fabrications allow Jack to reuse either an alley or a boat tile while Murderer at Large lets him use a special movement tile without revealing it to the investigators. But the Ripper is not the only one with new tricks up his sleeves. The investigators of the Whitehall Mystery have the option to either Roll Up Their Sleeves or Hire Reinforcements. With the former, they may use the special abilities detailed on their character tiles while the latter allows them to bring in the two investigators from the Dear Boss expansion. These engaging choices give players all the tools they need to create a challenge worthy of Jack of the Ripper. Now that Jack has emerged from the shadows, the race is on to capture him before his bloodlust claims another victim. Spin your web of deceit and become history’s greatest killer, or gather your team and solve one of history’s most intriguing cold cases! 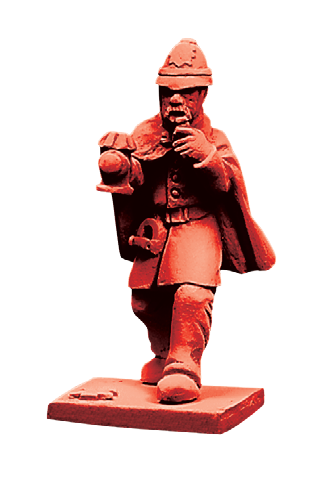 Pick up Whitehall Mystery (VA102) online or at your local retailer today!